The premier American fantasy adventure gets the Merry Marvel treatment! Eisner Award-winning writer/artist Eric Shanower teams up with fan-favorite artist Skottie Young to bring L. Frank Baum's beloved classic to life! When Kansas farm girl Dorothy flies away to the magical Land of Oz, she fatally flattens a Wicked Witch, liberates a Scarecrow, and is hailed by the Munchkin people as a great sorceress... but all she really wants to know is: how does she get home? 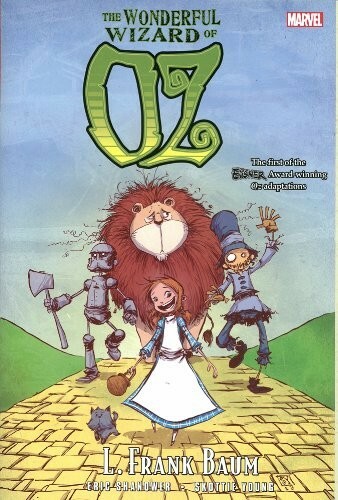 For more Wizard of Oz-related items, including more graphic novels, visit our Dorothy Character Collection. "Some of you might think that you already know the story of the Wizard of Oz. But if you're basing that assumption on your memories of the 1939 movie starring Judy Garland, then some of you are wrong. However, it's not too late to catch up with the REAL story of what happened in the land of Oz. 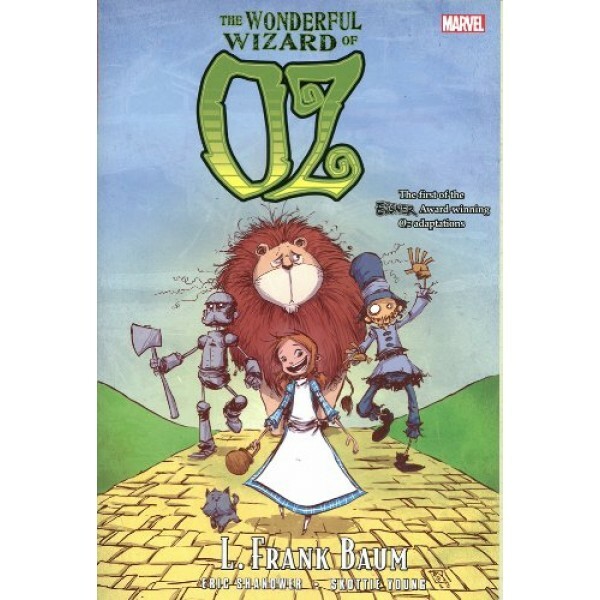 Eric Shanower's graphic novel version of The Wonderful Wizard of Oz is incredibly faithful to L. Frank Baum's original story ... which means that it demonstrates all the ways in which the land of Oz was wonderful, magical, unusual, and sometimes dangerous.